Let’s foreclose our popular music songs about snowmen with what the kids call the latest thing. “Big Snowman” from Navarro plays alt with our ices. Protect your hearts, ‘migos. Dale and the Deadheads narrate a long ago time when snow came down like snow. “Bill, the Snowman” is a beatnik throwback comedy bit worth a party play. Guided by Voices, did i tell you this already, drop “Doughnut for a Snowman” as prog rock pretty pop. I can’t remember what i was talking about…. Experimetnal jazz screaming from Cattle Drums. “Snowman Won’t Melt” eventually rocks every which way but on key. Folk blues psychedelia doesn’t begin to describe “Jon the Snowman” by Jack Spann. Look out. Dreamy psychedelia, “The Waving Snowman,” make The Wytches the band to watch. Angry but oh so danceable is the punk BLUE ALERT “Viki is a Snowman.” The Jims holler largely for one minute. Odd but danceable, “Ex-Snowman” by Big City fills you required ironic pop daily allowance. Nihilistic pop from The Naked Picassos warns about that watching “Snowman.” Run, kids. Disco funk expressed by Holidelic results in “Snowman’s Lament.” Give ’em snowballs! Watch out! Pop punk garage by Go Eat Worms make “vs. the Snowman” a saga of surprising power. Angry garage separates “Snowman” into three round balls. The Fezz throws gas on the fire of mujsic. Emo garage from Kenzi Gregory unravels joy with “My Snowman.” Well, more than one. They don’t last. Hate my life. Grrl garage pounding from The Ravens. “Evil Frosty Snowman” is not what you think it is. Banging garage metal from Nothing to Envy portrays “Yeltsin the Snowman” as a scary monster. Surprized? 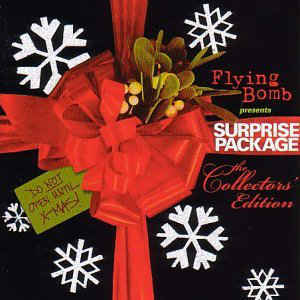 Record label Flying Bomb has been an outlet for punk, garage, experimental music since the ’90s. White Stripes got their toehold to success here. 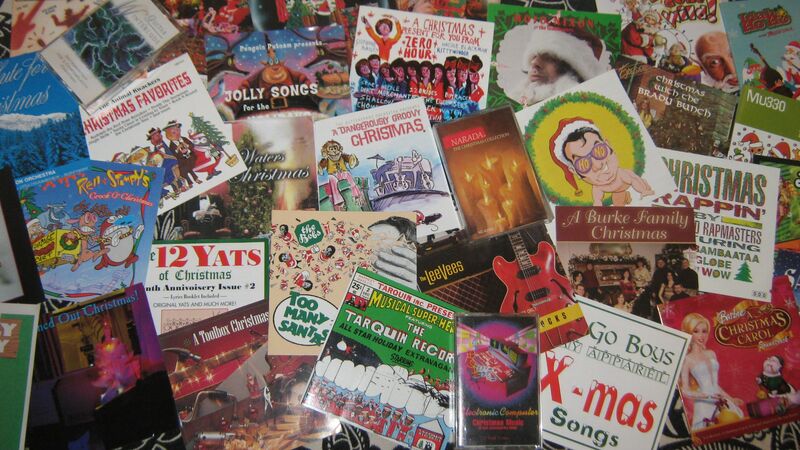 Now let’s dip into their phenomenal Xmas compilation from ’02. Happy Supply’s “Young Snowman Got It Bad, ‘Cause He’s So Round” puts the frozen one back on the street, in a cheerful love song. This comes by way of good buddy Pete the Elf.